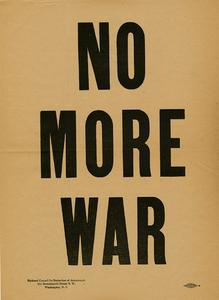 It is Eleven Years Since the World War Broke. 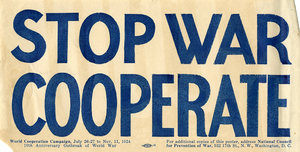 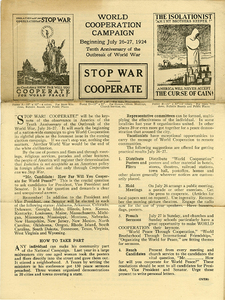 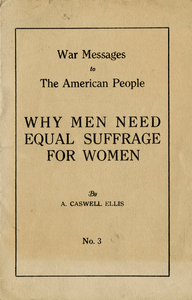 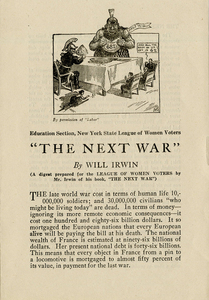 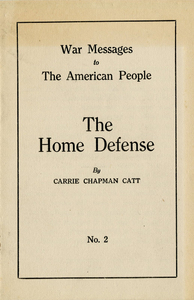 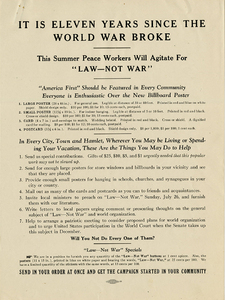 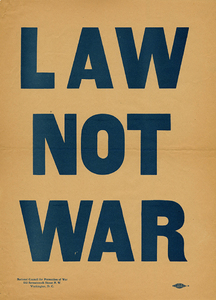 This Summer Peace Workers Will Agitate for "Law--Not War"
Publicity for the 1925 "Law--Not War" campaign of the National Council for Prevention of War. 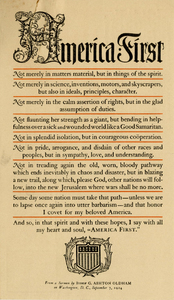 Includes information on purchasing "America First" posters, cards, and postcards. 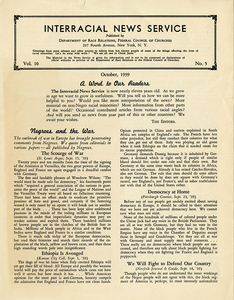 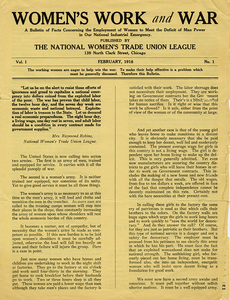 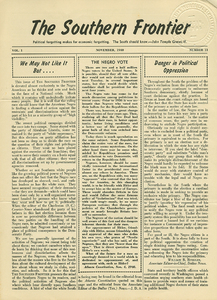 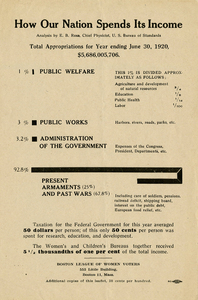 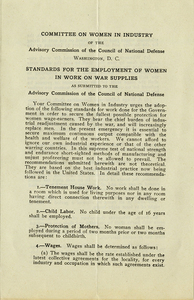 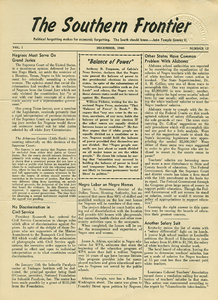 Broadside published by the National Council for Reduction of Armaments, Washington, D.C.